Your Brand is Your Promise to the Market. Your name. Your logo. Your colors. Your tagline. Many B2B CEOs think these aren't very important. Think again. A well-crafted brand identity sets you apart and communicates why you matter. Your brand speaks for your company even when your salesperson isn’t there. Marsden's unique branding process uncovers and defines what makes your company valuable. 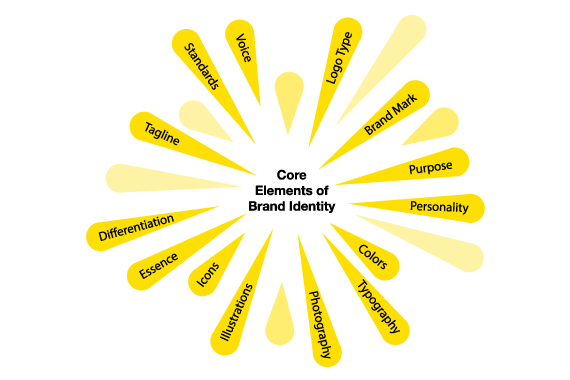 Your brand identity is the combination of your brand purpose, brand voice and visual identity (including your name, logo and website). Whether it's time for a refresh or a complete overhaul, Marsden Marketing uses a defined process to create impactful B2B brand identities. Our methodology gets to the heart of what makes you authentic and valuable, and then creates an integrated visual and messaging structure that embodies those values. "Rebranding with Marsden has made a world of difference. Our new brand really conveys our unique value to the market and has gotten a great response from key players in the industry."